LGSP2 – Cox’s Pond, Loxwood Road, Plaistow. The pond is located between the Plaistow and Kirdford Primary School and Winterton Hall. It is at the centre of Plaistow village and is within the Plaistow Conservation Area. Cox’s Pond is owned and maintained by Plaistow & Ifold Parish Council. 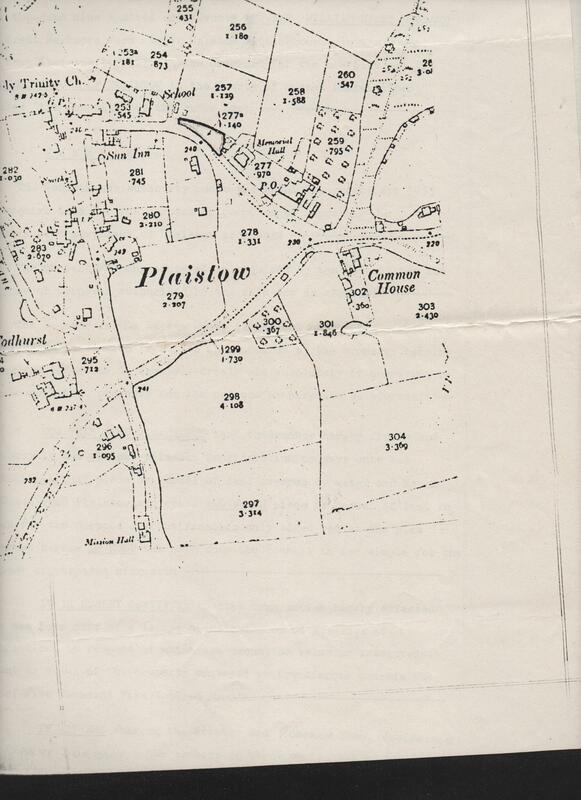 There is a 1970 Conveyance for Plaistow Pond – between William Harry Mouland of Great Barksore Farm, Lower Halstow, Sittingbourne, Kent and The Parish Council of Plaistow – for the purpose or purposes of improving the amenity of the village of Plaistow. The pond is based on a spring but also takes surface water run off from Loxwood Road as well as the adjoining field. A small stream called Dunnell’s Ditch runs from this pond in an easterly direction before disappearing under Loxwood Road. The wall, at the Winterton Hall (village hall) end of the pond, was built to provide a platform for farmers to lead their horses into the pond without going in themselves. There are old stone stairs on the Dunsfold Road side which allowed residents in past times access to the spring waters. Wooden bench seating is near to a wooden viewing platform which is used by the primary school, alongside, for field lessons. Though the green field behind the pond (excluded from this designation) provides a beautiful countryside backdrop and adds to the setting. However, it is noted the views to and from the open green space are mentioned in the Plaistow Conservation Area Character Appraisal and Management Proposal (May 2013) and marked on the Townscape Appraisal Map.